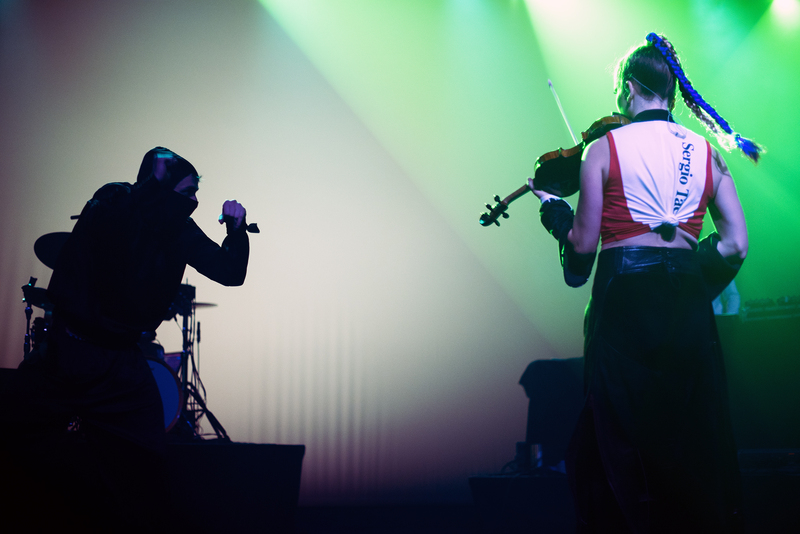 Tsar B‘s stage presence is a well thought out production incorporating an acrobatic dancer and ninjas, and guest appearance by Sylvie Kreusch, in a visually engaging set. 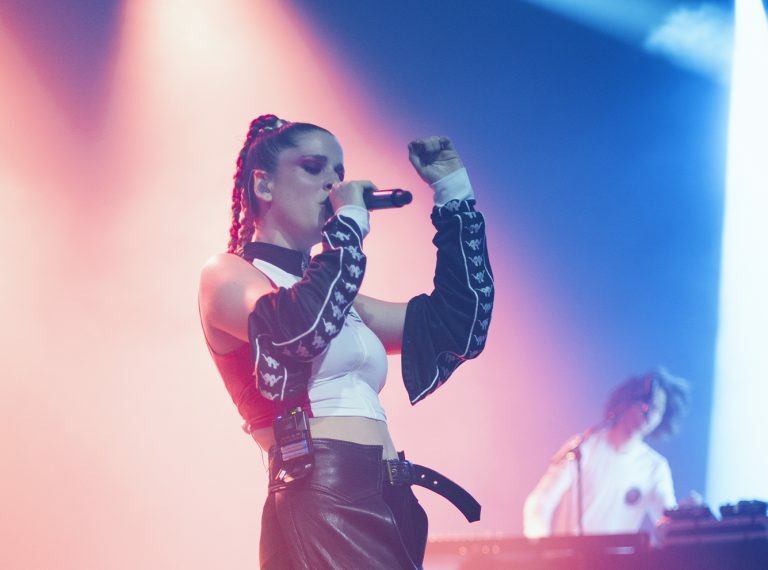 Although lead singer, Justine Bourgeus, is often compared to FKA twigs and Banks, her fluttering trip-hop r&b is in a league of its own. With clear, bass-driven vocals, and industrial / middle eastern elements, Tsar B’s music inspires rhythmic grooves and movements. Switching between vocals, violin, and choreographed dance routines, Justine Bourgeus’ Tsar B is anything but a bourgeoning act – especially since her fans know her songs so well. Having previously worked with School is Cool, this isn’t Bourgeus’ first rodeo and it shows. Not to mention, her super trendy sense of style. Tsar B’s performance was truly lit. Tsar B’s debut album will come out in September of this year. For now, listen to “Rattlesnake” below – followed by photos from their recent live performance. You’ll want to add Tsar B to your Spotify playlist.